Estonian Design Centre had an interview with designer Mihkel Güsson, who was awarded the design award BRUNO for the best industrial design at Estonian Design Awards 2014 competition. We asked how Shaka Weather Station, which led the way to victory, got started and what kind of experiences and lessons the development team has learned from the first three years of launching the startup. It all started in 2011, when Raigo Raamat started to look for a portable wind meter to help the beginner windsurfer to measure wind faster and more accurately. When looking at the wind meters available on the market, it seemed like all of those devices came from the beginning of the century, and none of them were connected to the Internet. But if it were possible, then what? Obviously, such solution would open up many new possibilities for implementation of weather information and building new systems. The new idea was first evaluated at the TeamUp! product development day, where all of the team members coincidentally met. Being all sufficiently inspired about the concept to create an accurate and connected windmeter, they decided to go on with the idea. 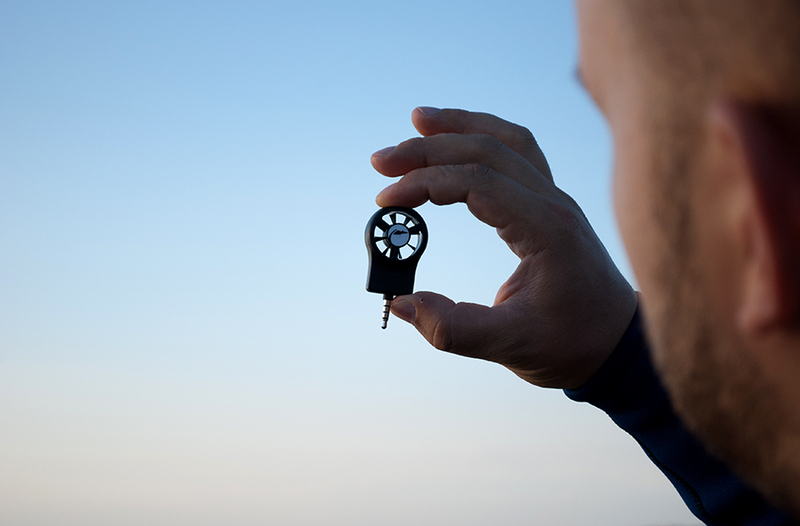 The consept grew rapidly and already by the end of the event a potential product was born, consisting of a smartphone and an additional sensor, which would allow the wind addicts to share information with each other in real time. That kind of product seemed to have potential, and by winning the TeamUp! product development day all were encouraged to commit to the project further. The whole idea attracted with its simplicity. Take the sensor, take the phone, write an app and the new product is ready. We thought it would be as easy as to take few meters of copper wire and a rotating magnet, connect all directly to smartphone’s headphone jack, and voilá, it works. Gradually, however, it became clear how complicated this seemingly simple device is. It took almost a year to build the first working prototype, a simple bunch of wire had become a tiny computer, which communicated with the phone over the audio port. As soon as the first product version showed some perspective, we decided to apply for the world's first hardware accelerator Haxlr8r. It became clear to everyone, that without external support, by developing a product in the garage in Estonia it is not very easy to reach the global markets. Haxlr8r is located in Shenzhen, the "Silicon Valley" of hardware developers in China. Being part of the accelerator enabled the startup to focus on the company’s development and also network with the experienced mentors all over the world. Within three months the first fully functioning device and phone app was built. Speed was essential as the target was to create the world's first smartphone’s weather station. Although China provided an integrated environment and contacts, the volumes, pace and culture would not enable to implement all the given potential within three months. Thus, the knowledge was gained from China and put into practice in Estonia. For the end of the accelerator program in China the Haxlr8r Demo Day was organized in San Francisco, USA. By that time we had almost everything for introducing our first product on the market. A lot of effort was put into getting the device to work properly and communicate with the phone, the phone app to be functional, and all other little details to be on their places. However, the product was not launched yet, instead it was decided to go on with the development and postpone the sales. Main withholding obstacle was the fear that maybe they are unable to fulfill the orders and start the production. Demo Day was a great success, however. 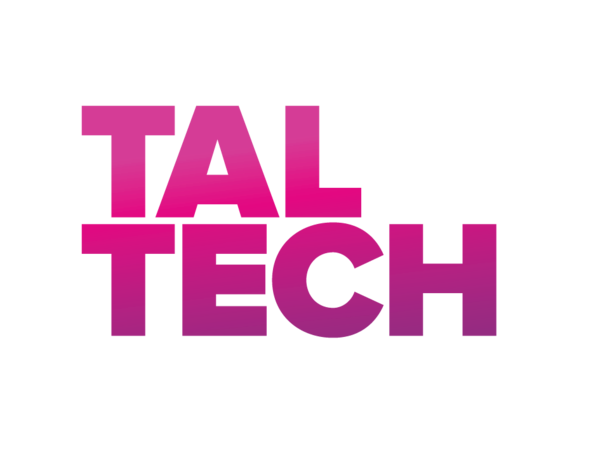 Thanks to Haxlr8r we reached into wide range of blogs and magazines like TechCrunch, Engadet, Forbes, Wall Street Journal and others. Many potential clients joined our mailing list, and enquired when they can start buying the product. The whole summer of 2012 was spent on fixing the bugs, organizing the production, developing the website. By Fall, we were confident to start the production. As we were lacking resources for production, we decided to take pre-orders. Customers were willing to pay several months in advance for the device, which was produced by a company that had never developed or sold any product. Unbelievable! In March 2013, the first clients received their devices. Quite soon competing products and ideas appeared in the market. The first potential one was just a website offering similar service, as Shaka did with its weather station. First competitors gave more confidence in the value of the idea and work continued. After delivering the first product, other companies started to come out, who already offered also similar hardware. They defenitely copied the first in the market, but rather they took advantage of engaging similar ideas and opportunities. 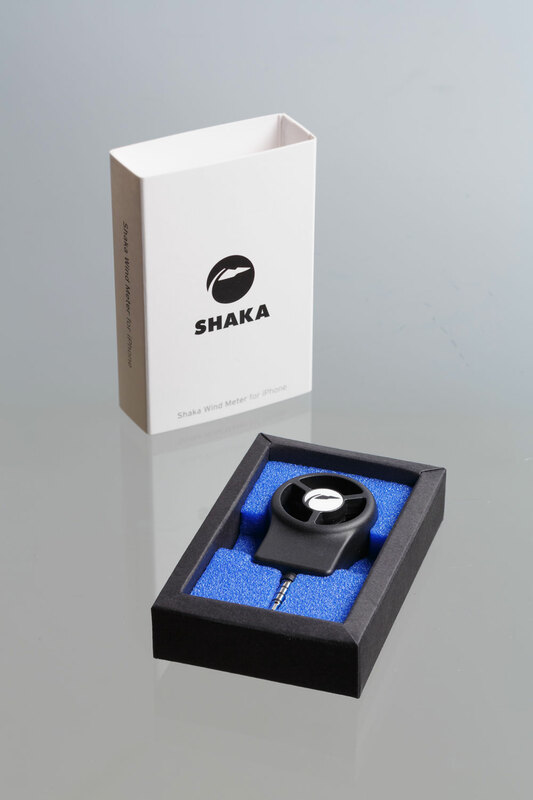 Desire to be better and one step ahead of others, inspired Shaka team to start developing the next new-generation device, which would not only be the wind meter but also a small weather station. The existing electronics was redesigned to allow the measurements of air pressure and humidity, and also Android version. Planning ahead and experience from making the previous device, however, did not change the time spent on development. In Spring 2014, almost a year later, the first clients received their weather stations. Shaka Weather Station was even more complicated device and its production required more resources than Shaka Wind Meter. Yet again, customers were willing to pay several months in advance, and had trust in Shaka. Lessons learned "Knowledge from school and learning from other’s experience is all fine, but getting your own lessons from real life is so much better. Recommended to everyone!". Most important is to make the right decision, and it is very hard to figure it out based on other’s experience. Thinking back, for sure many things could be done differently. For a starting company I would recommend to start selling your product as soon as there is something to sell. The worst thing that could happen, is that nobody will buy it. Much worse is, when you develop the product for a long time, polish and refine it, and then at the end of a long road you discover that nobody wants to buy it. As a result of different competencies and good teamwork Shaka succeeded to create a product which seems to have everything - good design, innovation, usefulness, usability. However, to be economically successful and sustainable you need also excellent performance in marketing, production, management and other daily business and strategic operations.